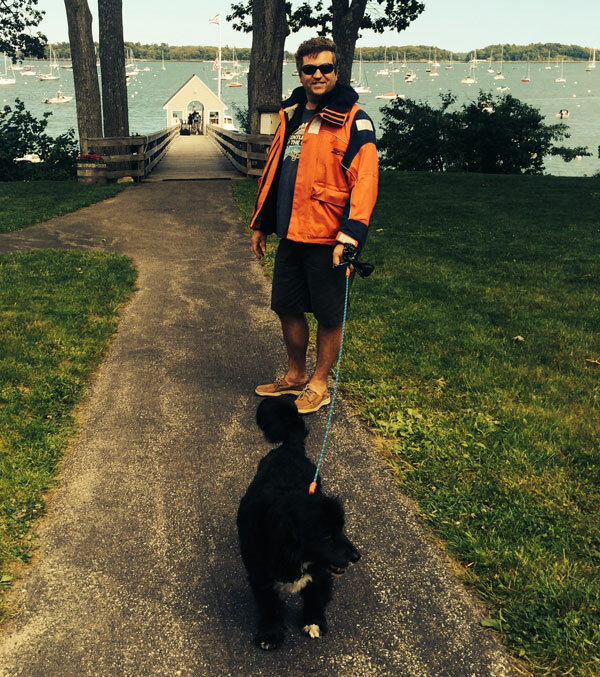 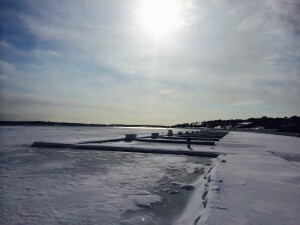 SF Marina Systems Docks are Designed for Winter Ice and Hard Freezes. 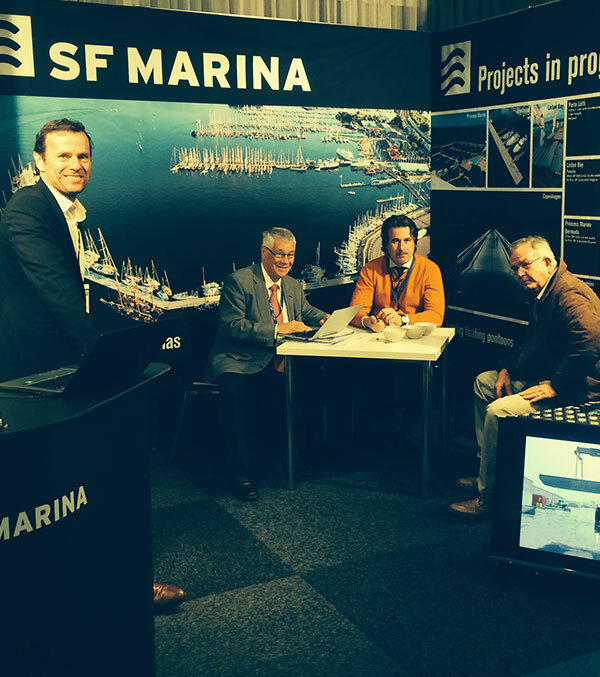 SF Marina Systems Concrete floating docks and floating breakwaters are designed to handle the harshest environments. 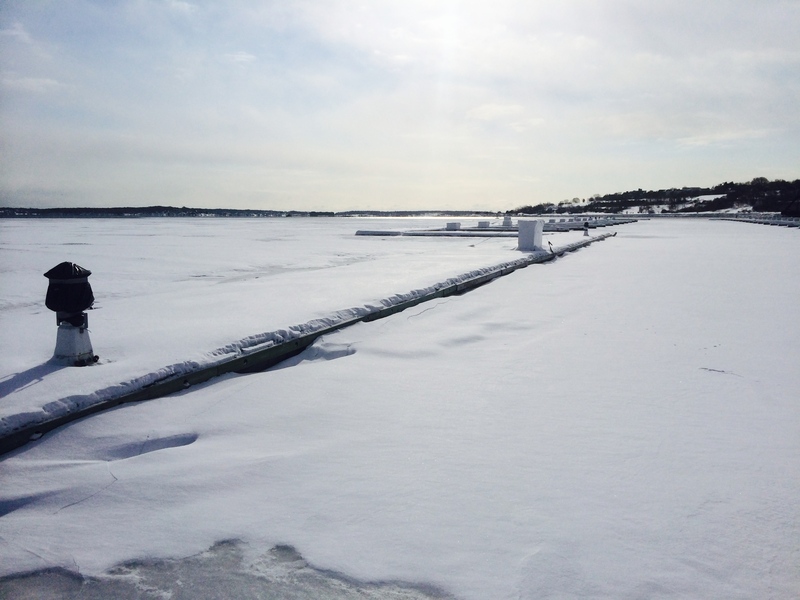 Thick winter ice exerts large forces and pressures on the dock when it freezes in. 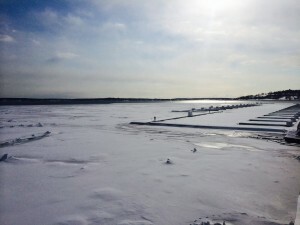 Our Systems have thick concrete decks and side walls with significant re-enforcing and design to resist the ice forces. 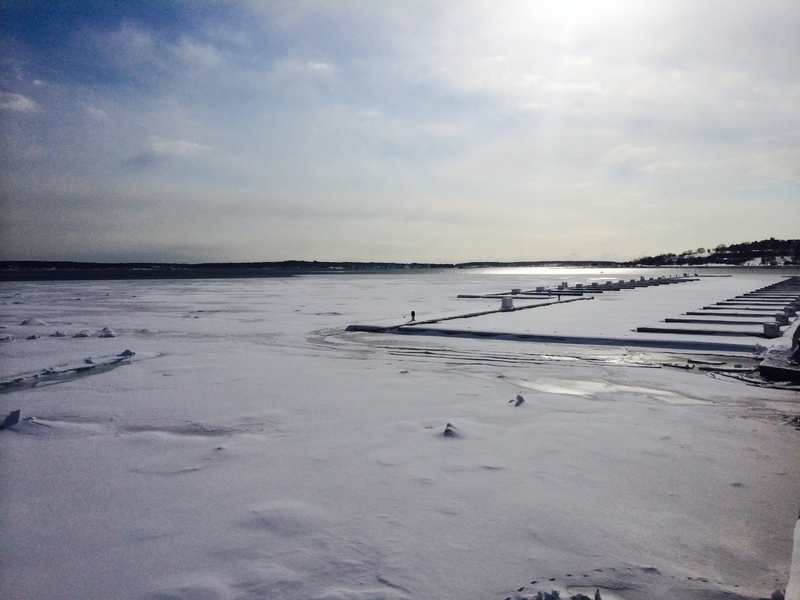 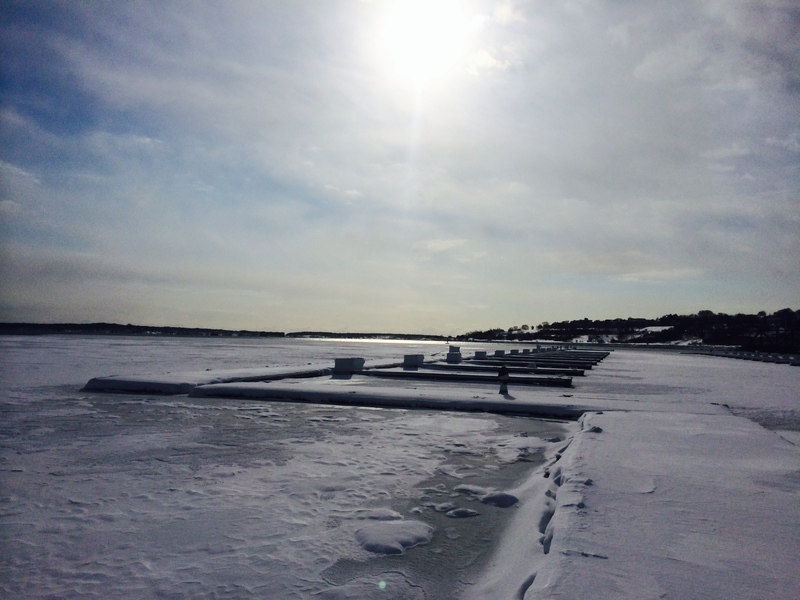 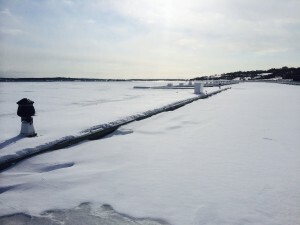 Below is a BW 400 floating breakwater at the Maine Yacht Center Frozen in.